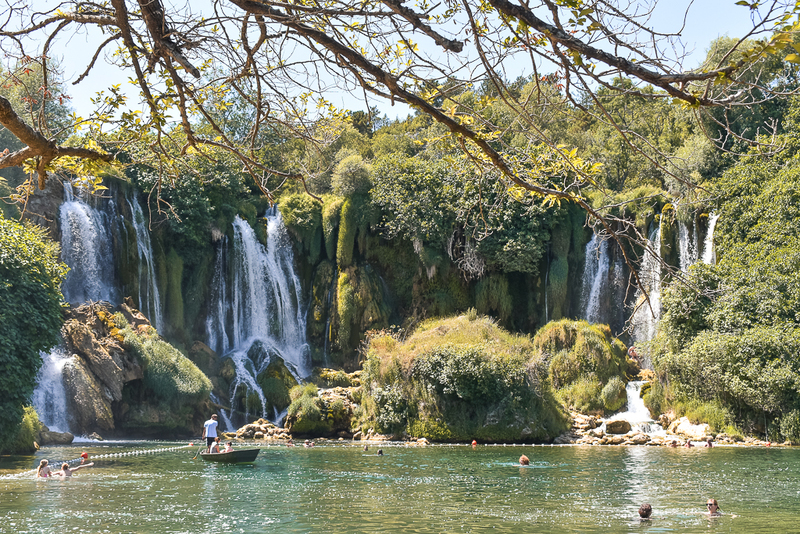 Kravice Waterfalls in Bosnia and Herzegovina is undoubtedly one of the greatest hidden gem of the country and an attraction that cannot be left out of your travel itinerary. 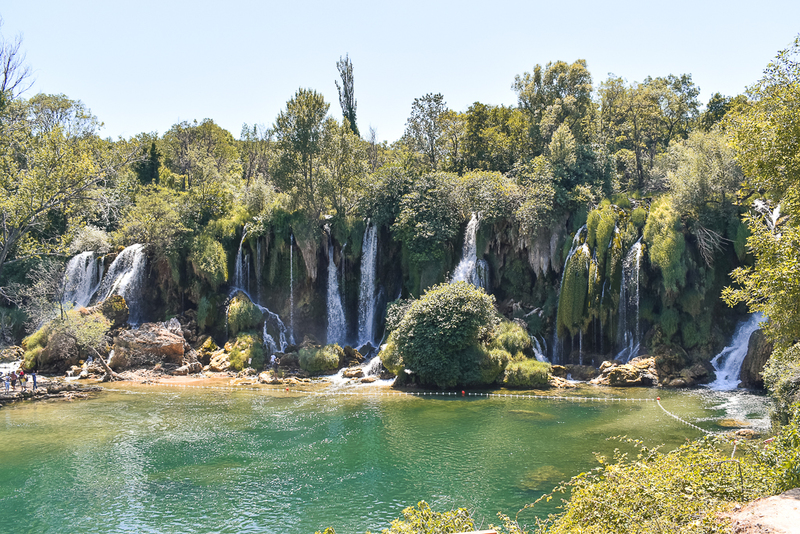 You can visit it as a day trip from Dubrovnik or in a complete itinerary around the Balkans, just make sure you plan a trip to Kravice Falls, which is also called the “Little Iguaçu”, such is the resemblance to the beauty of the park. 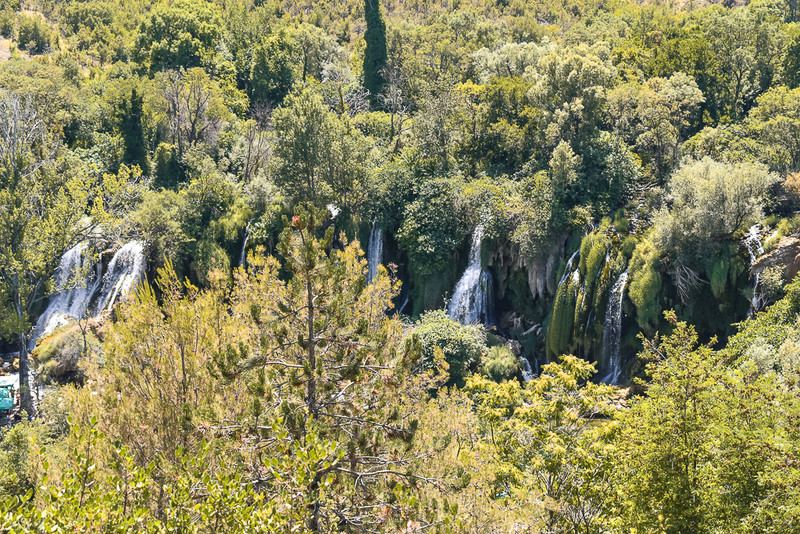 Some also say that Kravice Falls looks like the famous Plitvice Lakes National Park and we must warn that, despite being much smaller, in many ways it is actually more interesting than the park in Croatia! Why? 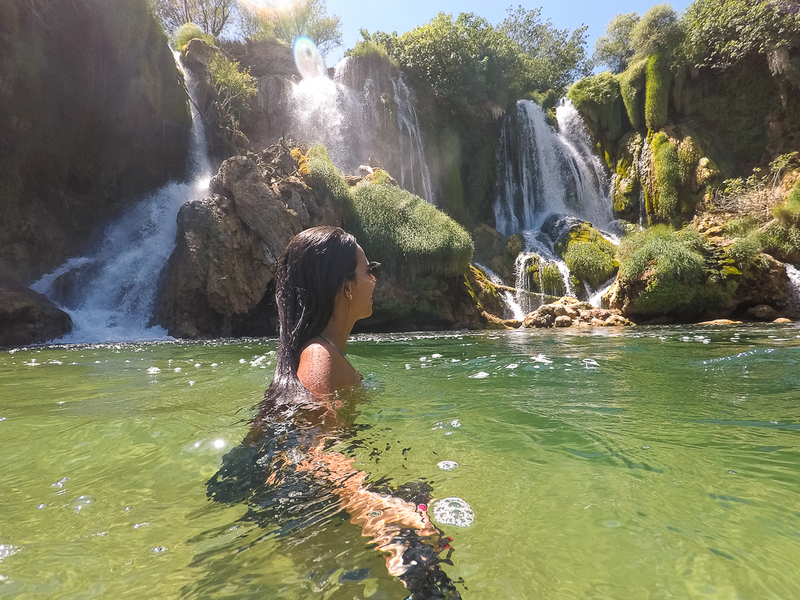 The stunning beauty of this park is really unbeatable, but best of all is being able to swim in the wonderful lake and waterfalls, which is impossible to do in Plitvice. So I think you already have enough reasons to be enchanted by the place and to visit Bosnia, isn’t it? If still in doubt, check out the full post with reasons why you should visit the country. 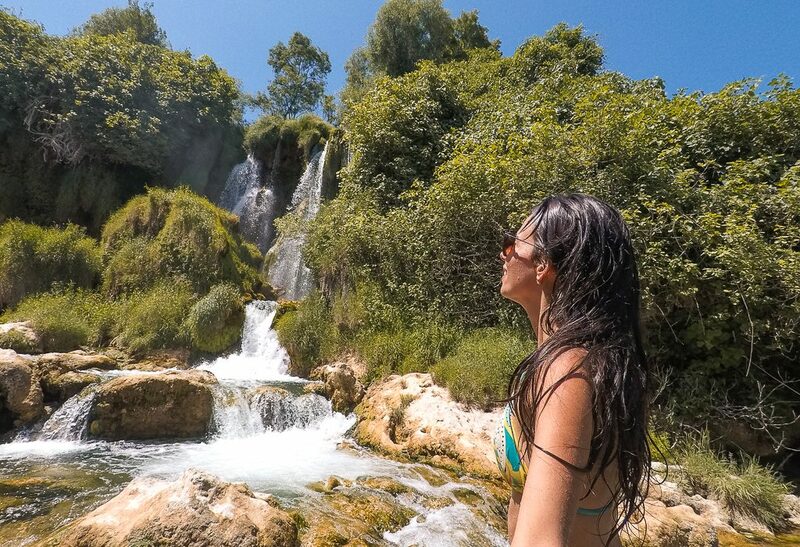 Kravice Falls is situated a convenient area near the border with Croatia and only 40 km away from Mostar. Also, it is easy to access if you are coming from popular cities around, such as Dubrovnik and the Makarska Riviera. 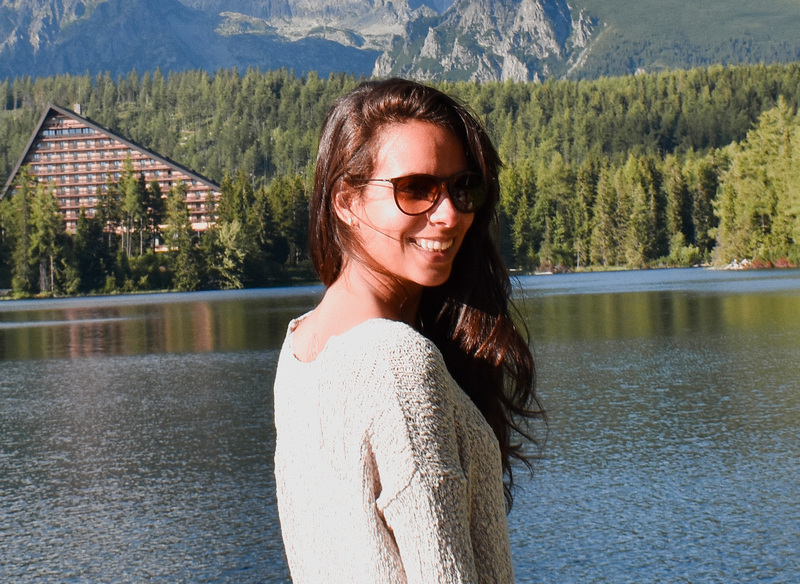 There, you will find several waterfalls and a nice lake with warm temperature, especially during the hot summer. In addition, there is a restaurant serving drinks, food, and snacks on the river which makes the visit even more enjoyable! 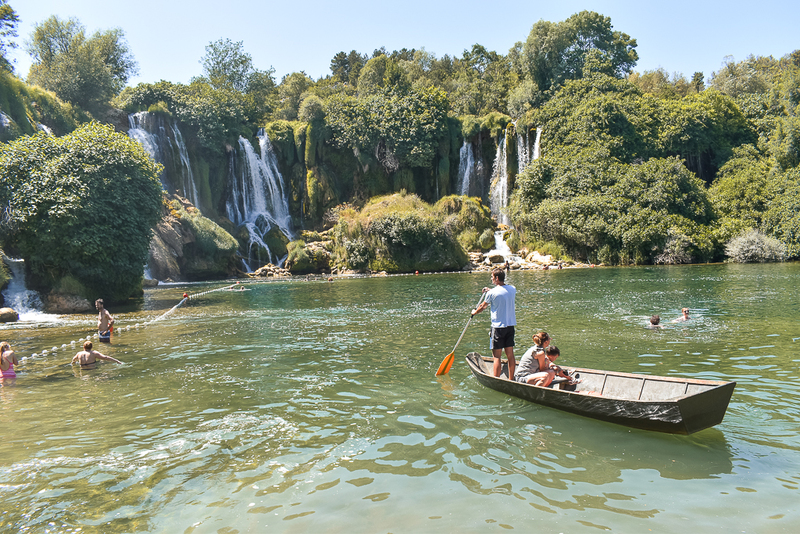 The waterfalls derive from Trebizat River, they are 120 meters wide and the highest waterfall has the height of 25 meters, thus no wonder it was declared a natural phenomenon that is under the protection of the state of Bosnia and Herzegovina? 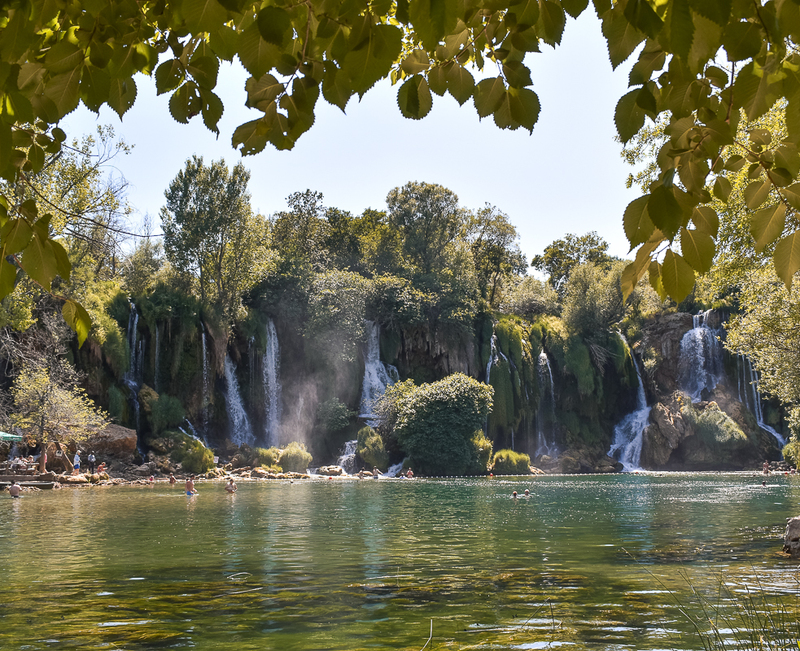 The Kravice Falls is very popular among tourists and locals, especially in the summer and spring, when the water temperature is pleasant and you can dive and raft nearby. So, do expect to have company during your visit, unless you arrive there very early to take pictures and get a more exclusive different experience! There, it is very common to find local Muslims and women bathing wearing the burqa, but also tourists with normal swimsuits. So do not worry about your swimsuit because there aren’t prohibitions in terms of dress- code, but it’s always good to be careful not to be disrespectful. You can get there easily by car or taxi, and you can park inside the park at no extra cost. We read some reports of tourists who had trouble getting there using Google Maps, but we used the internet on the phone and Waze app and could find the attraction without major problems. From the car parking, you pay an entry and need to walk down a trail for about 15 minutes, but the hiking trail is not hard unless you have a mobility issue. Entrance to the park costs 2 euros for adults and 1,5 for student and consumption there is very cheap – a snack costs about 4 euros and water 1 euro. 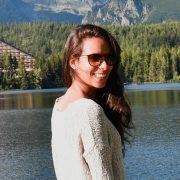 Anyway, the most important thing to keep in mind is to visit this paradise that is still not as well known by tourists! Is it safe to travel to Bosnia and Herzegovina? Even for women?